If the thought of seeing Anne Hathaway in skintight leather and/or latex excites you, I’ve got some great news. 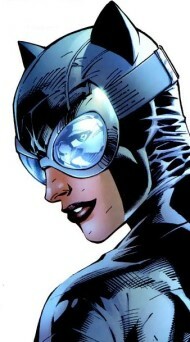 Although we’ve known for several weeks that the Academy Award-nominated actress and 2011 Oscar host would be playing Selina Kyle in Christopher Nolan’s The Dark Knight Rises, fans have been speculating whether Ms. Kyle’s seductive, pointy-eared alter ego would also be appearing in the anticipated Dark Knight sequel. In an interview with Oprah Winfrey, Hathaway provided some degree of clarity when she described her role in the 2012 film as “Catwoman,” never once specifying that she’ll only be playing Selina. At one point, she even screamed “I’m Catwoman!” at the top of her lungs. It’s possible that she’s merely simplifying things and we’re all just looking far too deeply into her choice of words. After all, it’s gotta be a lot more fun for her to tell people that she’s playing Catwoman as opposed to some cat lover named Selina. Having said that, this is still encouraging news. Cinema Blend has the full story.